We are the packaging experts! 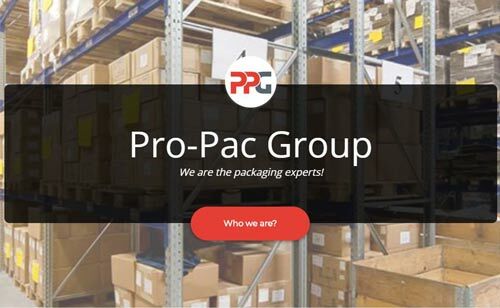 The Pro-Pac Group consists of three key companies: Pro-Pac Packaging, manufacturer, importer and supplier of a comprehensive range of general and industrial warehouse packaging; Integrated Packaging Group (IPG), Australia’s largest specialist manufacturer and distributor of stretch film wrap and associated products, and PB Packaging, one of Australia’s leading suppliers of rigid plastic and glass packaging. Our product range cover all aspects of logistics from packaging of goods to cartons, sealing, protection, wrapping, storing and shipping. At PPG, we believe very strongly in the conservation of our environment, its' resources and the recycling of as much product as possible. Reduce, reuse, recover and recycle are the four practices of our commitment to a better environment and social responsibility. PPG Online is our online ordering website which provides our customers with the benefit of 24/7 ordering convenience at their fingertips. Visit our online store today at www.ppgonline.com.au or click on the Buy Online Now button to get started. 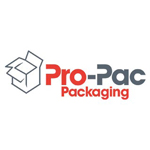 Pro-Pac Packaging Limited (ASX:PPG) is an international company, with a diversified distribution and manufacturing network throughout Australia, New Zealand, and Canada. 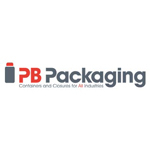 The company provides a combination of product and service solutions for primary packaging, packaging that touches and/or houses the product; secondary packaging, packaging that contains multiples of the product for shipping; and tertiary packaging, packaging that protects and secures the total package(s) during transit. PPG supplies a wide range of products and services into most industry segments ranging from Primary Produce, Food and Food Processing Industries, Agricultural Markets, Industrial and Commercial Markets, Warehousing and Logistics, to Retail and FMCG Markets. Corrugated Cartons, Flexible Films, Stretch and Pallet Wrap, Plastic Bottles, Lids and Closures, Food Processing Products, Void Fill Solutions, Packaging Supplies and Consumables, Machinery and Machine Service, Safety and PPE, Gloves, Bags and Liners, Washroom and Janitorial Products, Cleaning Supplies, Labels and Signs. Since 1987, the Pro-Pac Group (PPG) has established a reputation of excellence in the packaging and distribution industry. As one of Asia Pacific’s largest and most respected manufacturers, importers, distributors and suppliers of packaging related products and services, PPG has proven to have the ability to provide innovative solutions to meet a wide range of customers' needs across the complete supply chain. Combining unparalleled industry knowledge and experience, with a comprehensive capability to manufacture and source products locally and globally, PPG supports customers in achieving their business goals…to present, protect and position their products to maximise profitability and growth. Whether this is assisting in cost reduction processes, stock management, unique packaging solutions, customised presentation or solutions to support operational efficiencies, PPG consistently addresses these needs and more for its customers. No Current Job Vacancies : We have no current positions available.